Thank you all for your wonderful submissions and participation in this competition. We’re thrilled to announce the winners of National Humanities Medal Design Competition. We apologize for the delay in announcing a winner of the NEH National Humanities Medal Design competition. A decision has been made and we will publicly announce the winner as soon as we have been able to contact the artist. 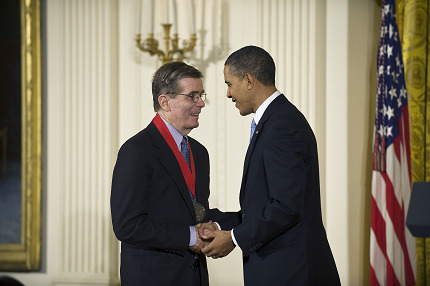 The deadline for the competition for the design of the National Humanities Medal has been extended to March 15, 2013. Artists Chunghi Choo, Don Everhart, and George Anthonisen will be judging the submissions for the NEH National Humanities Medal. See humanitiesmedaldesign.challenge.gov for more information on these artists and the competition.